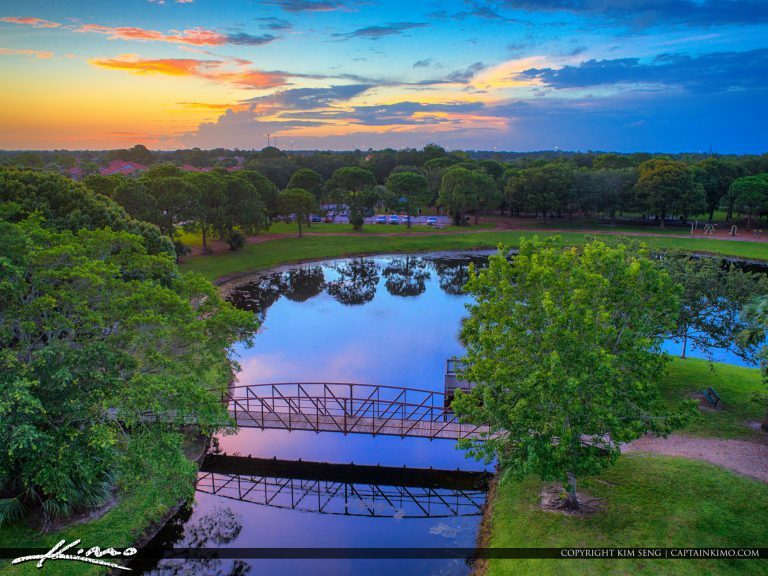 Beautiful sunset over Indian Creek Park in Jupiter Florida. This is the bridge that crosses to the small island. HDR image created with EasyHDR. 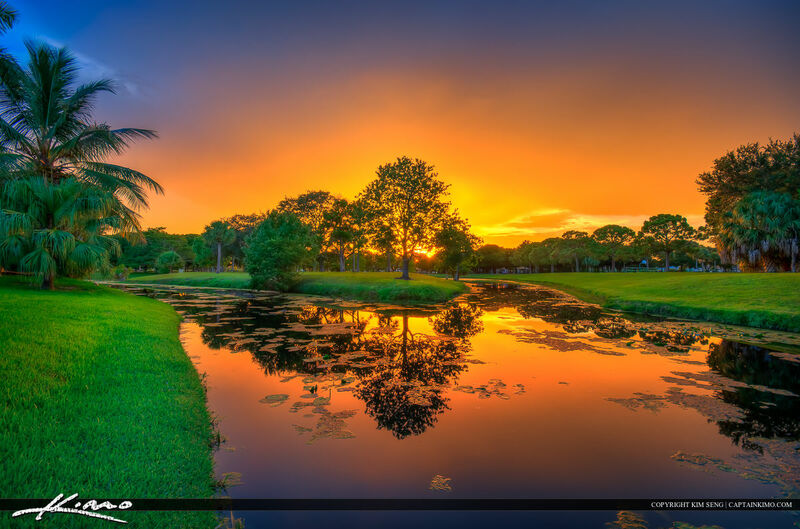 Warm Fiery Sunset over Indian Creek Park in Jupiter, Florida by the canal. HDR photo from three exposure created using Photomatix Pro and Topaz software.